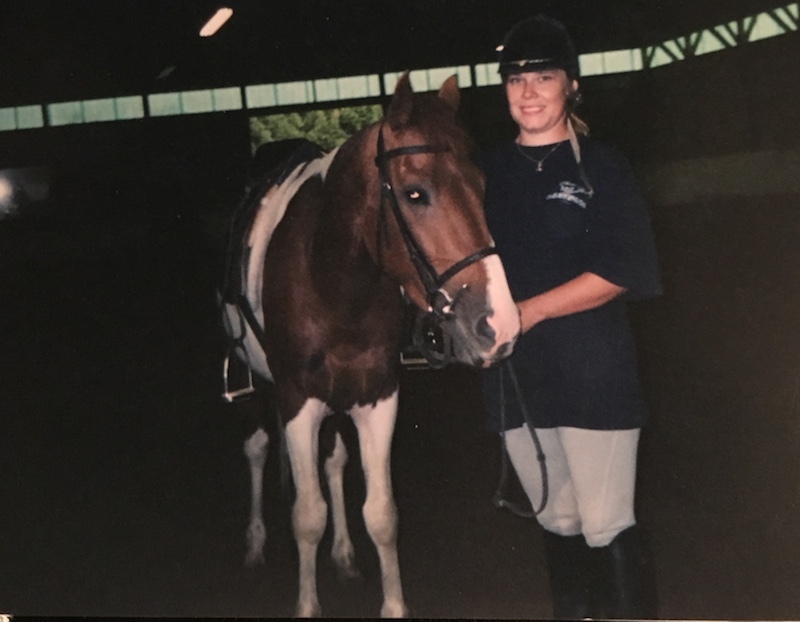 It was just another ordinary Tuesday in 2001 for Janet Rowe, owner of Saving Grace Equine Rescue in Bracebridge, Ontario. 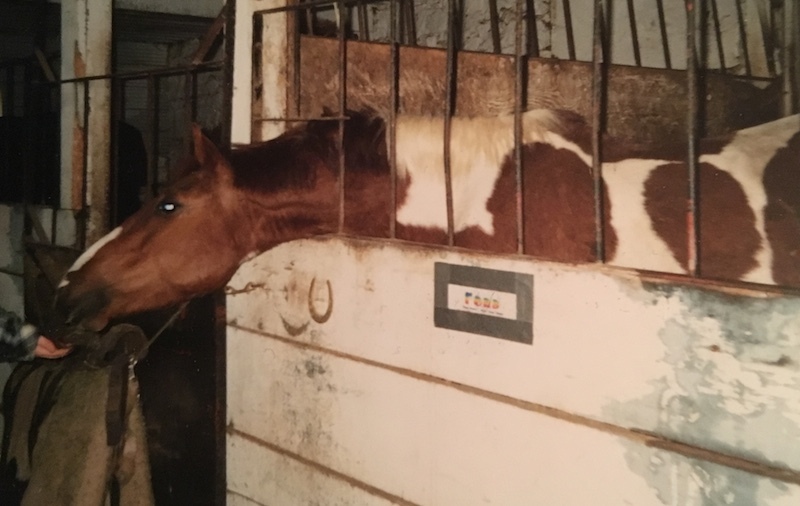 She was making one of her frequent trips to the Ontario Livestock Exchange in St. Jacobs, Ontario, to look for another horse in need to rescue, rehab and re-home. Because she’s a frequent face at the livestock exhange, meat dealers don’t often bid against Rowe. 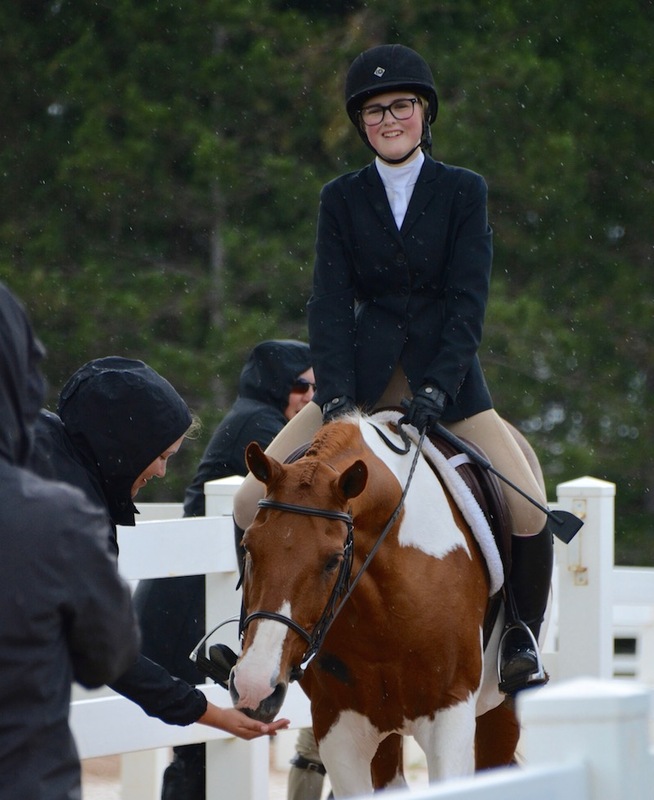 She bought the pinto pony stallion for $75, brought him home, and started his rehab. “The name I gave him was Ford Pinto because he was a) a pinto and b) his rear end was bad,” Rowe said. Ford made great progress and was adopted a year after his rescue to an acquaintance of Rowe’s as a school/Pony Club pony. Unfortunately, Rowe lost track of Ford after that. 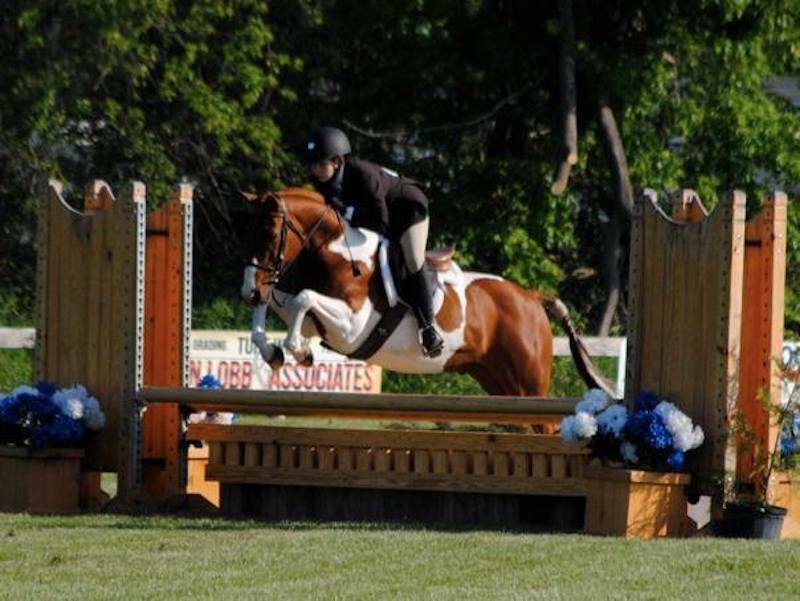 While inexperienced when the family bought him, Mud Slide had a great jumping style. 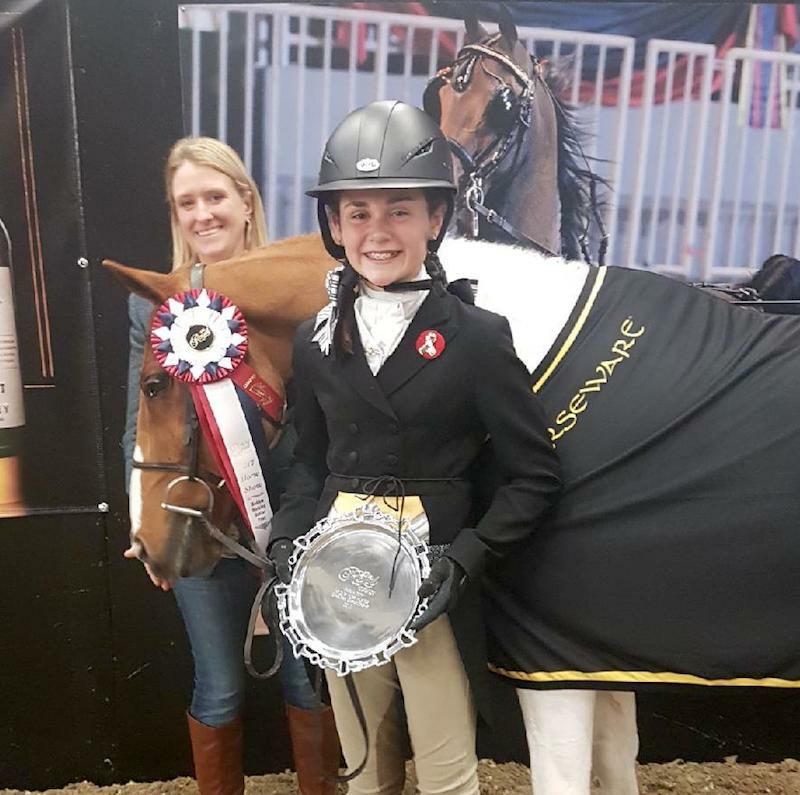 Judy Henderson of Henderson Farm in Denfield, Ontario, and Rachel Schnurr of Windamere Equestrian Centre in Baden, Ontario, both trained Mud Slide and coached the Cullen girls over the years. As the years went by and the Cullen sisters outgrew Mud Slide, they leased him out to other young riders. 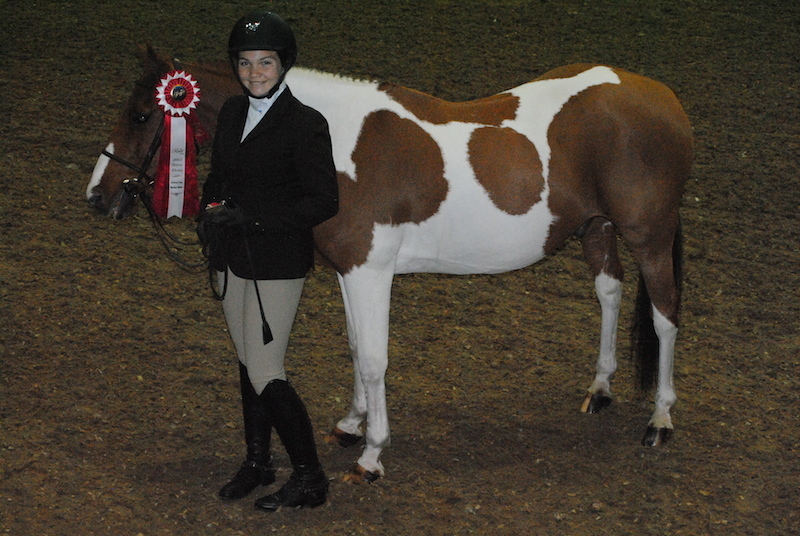 Ford continued to bring multiple young riders up the ranks from short-stirrup to the medium pony hunters. Winning along the way, he became a been-there, done-that kind of guy. Rowe got in touch with the Cullen family via Facebook and told them about Ford’s history. The Cullens had no idea their champion pony had faced a life or death situation at one point. “It came as a huge surprise to me that he was such a successful little fellow, and quite frankly I was chuffed that he was doing so well!” Rowe said. 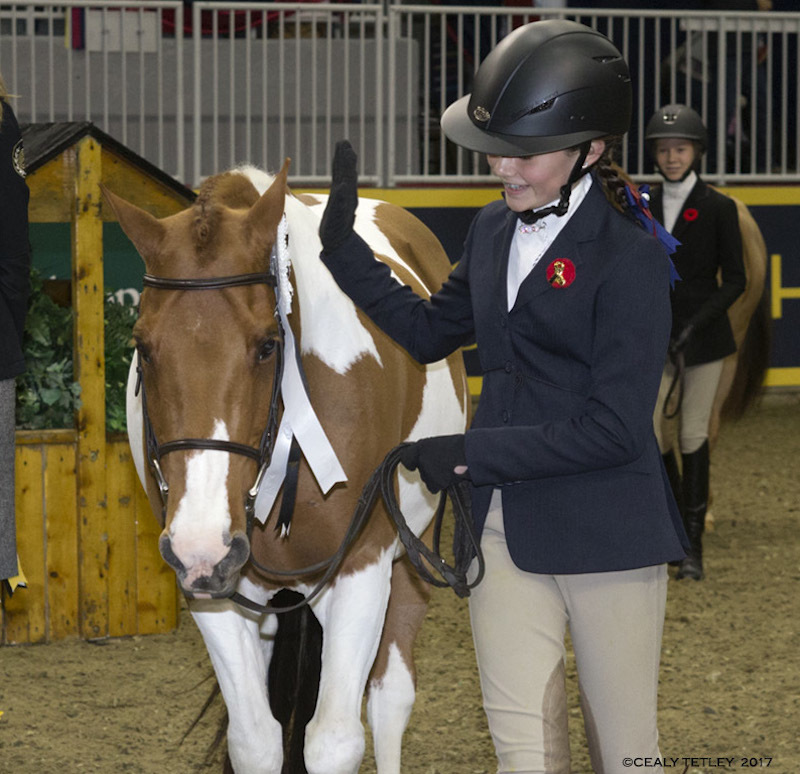 Last week at The Royal Winter Fair Horse Show in Toronto, Ontario, a now-19-year-old Mud Slide was champion in the medium pony hunters with Ayla Torigian, who leases him from the Cullens and is coached by Robin Hannah-Carlton of Sherwood Farm in St. Catharines, Ontario. 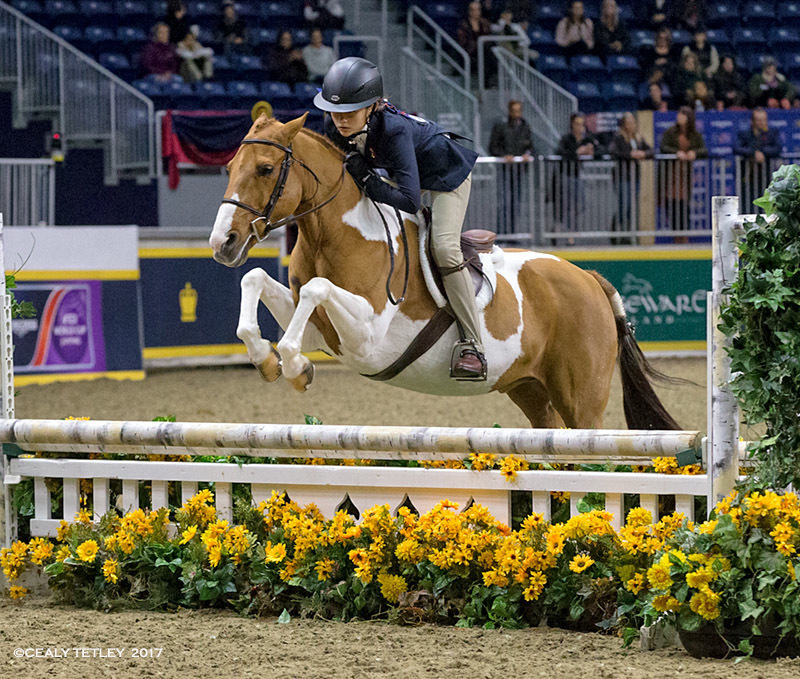 “Especially now in his older age, he knows what to do at the show and in the ring,” Nicole said. “He gets absolutely no prep. It’s just how he is.” Because Mud Slide was champion this year, he is automatically qualified for the Royal next year and will only have to show at four mandatory shows in 2018 to compete.